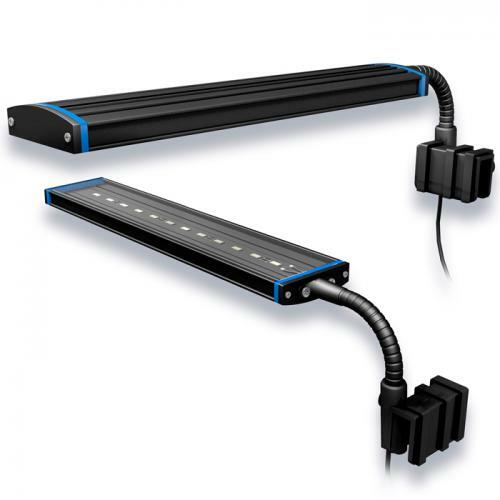 Brief Description: The Aquatic Life Reno LED Clamp Light is great for nano aquariums. Sports White LED’s for Freshwater fishes. Adjustable width Frame Mounts hold fixture securely above aquarium. Notify me when "AquaticLife Reno White Clamp Lamp LED [7 in. 4.5w]" is re-stocked. 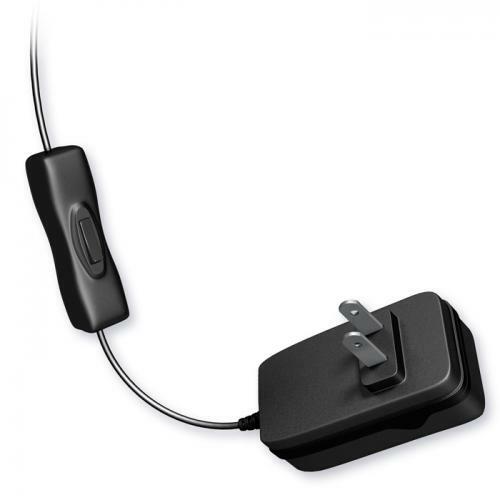 Fixture features a 6-foot powercord with a durable on/off rocket switch for lighting control. A plastic clamp easily mounts to most rimless aquariums up to 8mm (0.315") thick and the gooseneck allows you to easily position the light. 7-Inch Freshwater LED Clamp Light Fixture. LED's: (9) 0.5W White. 7-Inch Clamp Light for aquariums under 10 gallons.